An ex-Confederate Army officer, John Parrish, plans to sell up to nearby Anchor Ranch and move east with his fiancee, but the low price offered by Anchor's crippled owner, Lee Wilkenson, and the outfit's bullyboy tactics make him think again. 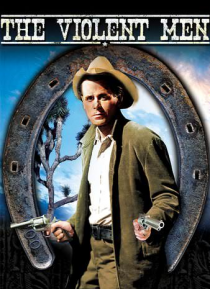 When one of his ranch hands is murdered, he decides to stay and fight, utilizing his war experience. Meanwhile, all is not well at Anchor Ranch where the own… er's wife, Martha, has been carrying on for years with her husband's brother who, in turn, keeps a local Mexican sweetie in town.